As surprising as it may sound given their recent popularity, I’d never really eaten avocados before earlier this year. I didn’t not like them, exactly, but I’d be lying if I said they didn’t scare me a bit – they looked weird on the outside, were bright green on the inside, and I had no idea how to prepare them. As some of you may know, though, for lent this year I went dairy-free, which led to me trying a lot of new things. 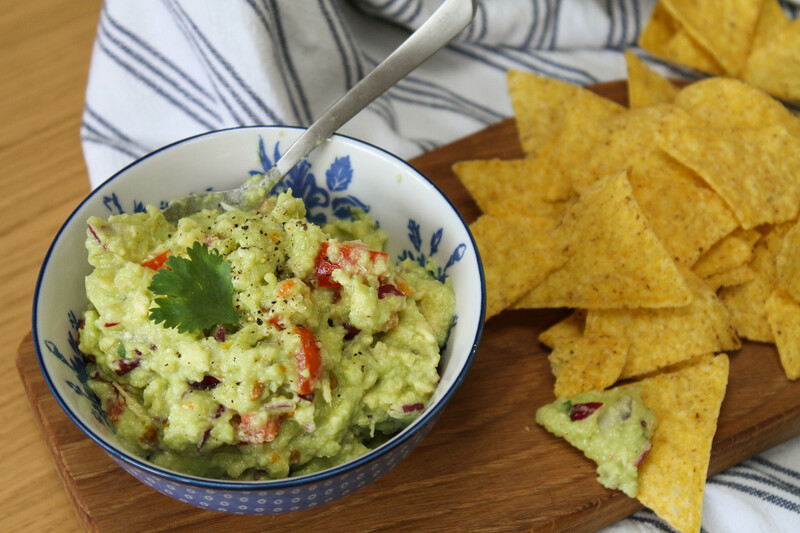 Avocado was one of them: I was very sad not to be able to eat cheese with my fajitas, and so thought that if I made my own guacamole it might make up for it a bit. I have been making it ever since. It has become one of my favourite things to eat – at the moment I usually make it at least once a week, to accompany chilli, layer in burgers or wraps, or to use as a dip with anything I can find (even if sometimes all I can find is a spoon). To top this off, avocados really are great things to eat in terms of nutrition, so I feel absolutely no guilt. It’s a win-win. 1. Finely chop the garlic, onion and tomatoes. 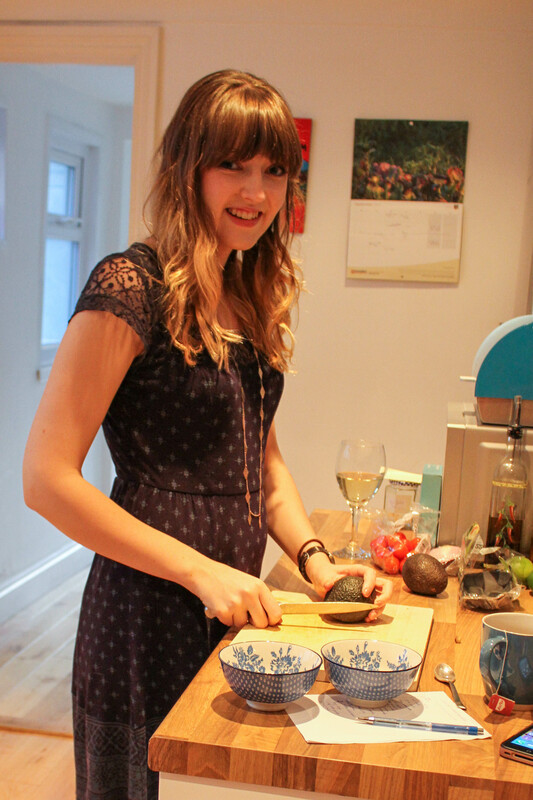 Halve the avocado and remove the stone with a teaspoon, then scoop out the flesh. Place on a chopping board and use a fork to mash it, then mix with the other ingredients. 2. 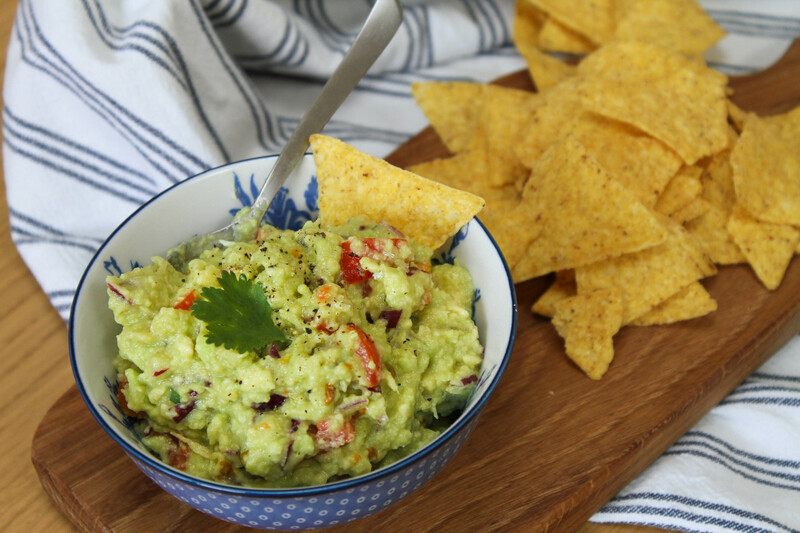 Make a well in the centre of the avocado mixture and pour in the lime juice, then carefully mix it in. Add coriander, salt and pepper to taste.